The Safe Drinking Water Act (SDWA) of 1974 and subsequent amendments is the main federal law designed to protect the public’s health by regulating the quality of the nation’s public drinking water supply. The SDWA authorizes the United States Environmental Protection Agency (EPA) to set the minimal national standards for individual states to comply with. In California, it is the California Department of Public Health (CDPH) that is the lead agency to insure that the water purveyor meets those standards with one of the standards being the implementation of a Cross-Connection program. 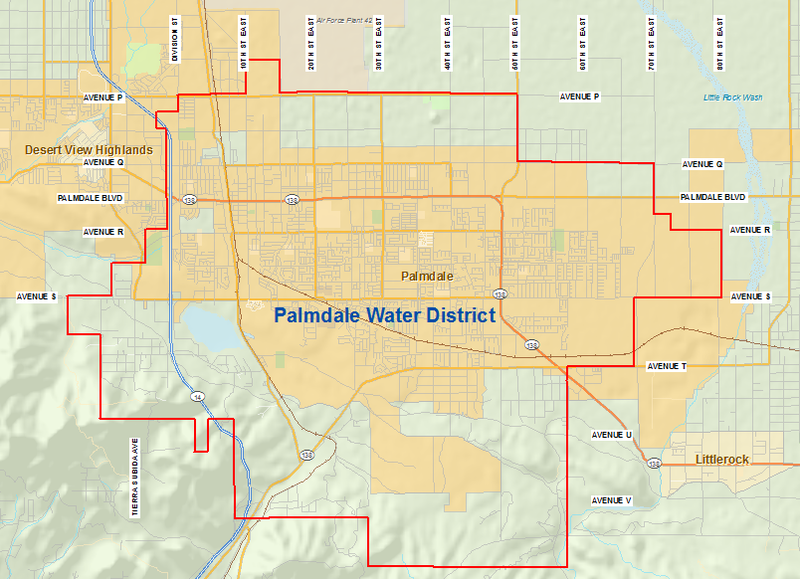 The initial step of Palmdale Water District’s Cross-Connection program started in 1988 with the Board of Director’s approval of Ordinance No. 88-1. Palmdale Water District customers expect the water that comes from their tap to be pure and healthful. PWD puts forth a great deal of effort to protect the quality of that water while it is under their stewardship. It is possible though that the water quality could be compromised after it has passed through the water meter and into the customer’s plumbing and there is a cross-connection along with a backflow condition. What is Cross-Connection? What is Backflow? A cross-connection can be an actual or potential connection between the potable (drinking) water supply and a source of contamination. It can be either permanent or temporary. Anywhere there is a water outlet there can be a potential cross-connection. A few common cross-connection points in the home plumbing system would be the hose bib used in conjunction with a garden hose. With its portability you can easily inadvertently connect the drinking water system to an untold amount of dangerous chemicals, cleaners or even the sewer system. The sprinklers used on the irrigation system can be another point along with a utility or kitchen sink. Backflow is the undesirable or unintended reverse flow of water in the distribution or the home plumbing system. There are two types of backflow: back siphonage and back pressure. Back siphonage can occur when there is a reduction or the creation of negative pressure via a hydraulic condition in the distribution system which then could draw the water from the premises back into the Water Districts distribution system. Back pressure would be when the pressure of the homeowner’s onsite system becomes higher than that of the distribution system. This could be caused by an onsite auxiliary booster pump or a hot water heater with a faulty temperature/pressure (TP) relief valve. To put this cross-connection and backflow into perspective, let’s say a homeowner is using a garden hose to fill a fish pond with the end of the hose submerged in this non-potable water. A car hits a fire hydrant down the street causing a high velocity of water to flow through the District’s water main creating a negative pressure on the residential plumbing. Because the garden hose is on and submerged in the fish pond (the cross-connection), this non-potable water could be siphoned (backflow) back into the homeowner’s plumbing and then possibly into the Water District’s system. This wouldn’t have had to happen if there was a backflow prevention device in use. With the elimination of cross-connections, there wouldn’t be a problem, but they must exist. This is why a backflow preventer is important; it allows the flow of potable water to go in one direction only. There are many types of backflow preventers with different uses, installation requirements and varying degrees of backflow protection against whatever contaminate or pollutant that the drinking water may come in contact with. There are backflow preventers that are testable to confirm that they are working properly while there are others that are not. An example of non-testable backflow protection, also the most common and the most effective, would be a simple air gap. This is the physical vertical separation between the outlet of the faucet or pipe above the flood rim of the receiving sink or vessel. This gap should be twice the diameter of the outlet pipe with a minimum of 1” if the outlet pipe is less than a ½”. Another example of a non-testable backflow preventer would be a properly installed Atmospheric Vacuum Breaker (AVB) on a residential irrigation system. The AVB should be installed a minimum of 6” (measured from the bottom of the AVB) above the finished grade and also higher than any part of the downstream piping with no shut off or control valves located after it. At the garden hose, a Hose Bib Vacuum Breaker (HBVB) needs to be installed at the hose bib to prevent back siphonage from happening. Of the testable type of backflow preventers, there are those located on the service connection right after the water meter. This is known as “Meter Service Protection” and falls under Palmdale Water District’s jurisdiction. There are also testable backflow preventers that may be found internally on the customer’s plumbing. These are known as “Internal Protection” and are the responsibility of the County of Los Angeles, Public Health with regards to testing. Generally, testing of backflow preventers are required a minimum of once a year. The testable type of backflow preventers that fall under PWD’s authority are on service connections belonging to commercial, multi-residential and irrigation accounts. Customers of these locations are notified of the annual requirement for backflow testing with a Field Testing & Maintenance Report Form. The customer is now responsible for making arrangements in the hiring of personnel who hold a current “Backflow Prevention Device Tester” certification issued by the County of Los Angeles, Public Health to conduct the testing. After the completion of testing, the original test form is filled out and then returned to the Water District for the recording of test data. For any additional information on cross-connection, backflow prevention, approved list of backflow preventers or a short list of backflow prevention testers please contact Loel Haviland, Cross-Connection, at Palmdale Water District, lhaviland@palmdalewater.org or 661 456-1054.